KOCHI: With a massive crowd behind them and a record five-match winning run at home to bank upon, Kerala Blasters will have reasons to believe they can topple Atletico de Kolkata and avenge defeat in the inaugural Hero Indian Super League final. Two years ago when the ISL was launched, Kerala Blasters earned the right to challenge Atletico de Kolkata in the final at Mumbai and lost by a solitary goal at the death. The loss was heart-breaking for Blasters and they will now be eager to settle scores as the teams square up again in the final of this edition at Jawaharlal Nehru Stadium, Kochi, on Sunday. “It’s two years ago and we have only a couple of players who were part of that match. In fact we have one player who scored the winning goal (in that match),” said Kerala Blasters manager Steve Coppell. That player is Mohammed Rafique who came off the bench in that memorable contest to head home the winner in fourth minute of added time to seal a historic victory for ATK. Since then much has changed. Rafique is now with Kerala Blasters, incidentally scoring the winning penalty in the semi-final against Delhi Dynamos on Wednesday. “A lot has changed. This is a totally different competition. A sense of revenge won’t drive us. What will drive us on is the team spirit and the determination to win the final,” said Coppell. Kerala Blasters have a five-match winning run at their home stadium which has attracted massive crowd. A record crowd is expected to turn up for the final but Coppell warned that such a turn-out alone cannot guarantee his team of their first-ever ISL title. “We are playing against a very good team. A couple of former Kerala Blasters players like (Stephen) Pearson and (Iain) Hume are familiar with the environment. It’s a great help to have all our supporters drive us on but there is no guarantee (of winning) apart from 90 minutes of full support. The effect that will have on the result of the game can only be determined at the end. There is no way we are the favourites,” said Coppell. Kerala’s opponents will be equally determined to put it across the home side and become only the first team to win the competition twice in three years. Atletico de Kolkata are the only side to qualify for play-offs for three successive years and another title will be an added feather to their cap. The final is also being billed as a clash between Sachin Tendulkar (co-owner, Kerala Blasters) and Sourav Ganguly (co-owner, Atletico de Kolkata), who formed one of the best batting partnership in world cricket. 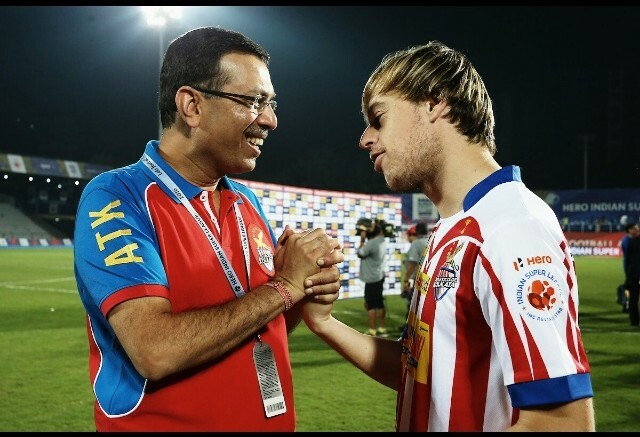 While cricket united the two sporting legends, the ISL final on Sunday will see them ‘divided’ as they try to inspire their respective teams to glory. If it was Ganguly who had the last laugh in 2014, can Tendulkar steal the thunder two years later?